Vegas Slot Casino keeps the fun going with 474 games! 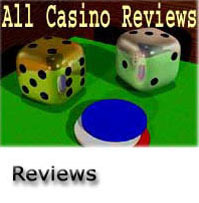 The biggest online casino! Using state of the art software featuring superb graphics, easy download and fast play, playing at Vegas Slot is a breeze. As their name suggests, they give you a wide variety of slot games to choose from, as well as 11 progressive slots for your enjoyment. Software used: Powered by Microgaming. Games offered: Progressive slots, 5 reel slots and 3 reel slots.